Home > Latest News > New LEGO Movie 2 Set: Welcome to Apocalypseburg! Following their massive LEGO Movie 2 product reveal HERE, LEGO unveils another new set: Welcome to Apocalypseburg! 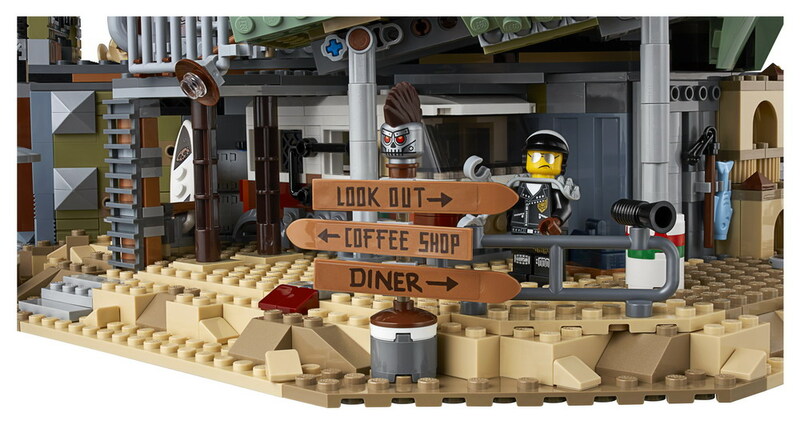 The set has an epic 360 design, featuring a coffee shop and a portion of the Statue of Liberty – and is the largest ever LEGO Movie inspired construction set, with over 3,100 pieces and 12 minifigures! LEGO Movie 2 Welcome to Apocalypseburg will be available January 16th at LEGO brand retail stores and shop.lego.com, retailing for $299.99. LEGO Movie 2 opens in theaters everywhere February 8, 2019! 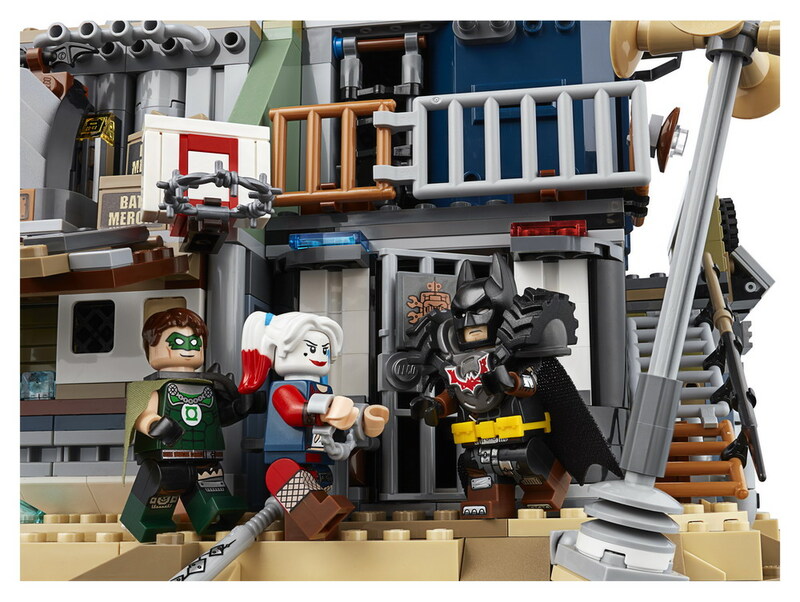 • This creative toy includes 12 new-for-January-2019 THE LEGO MOVIE 2 minifigures: Emmet, Lucy, Batman, Scribble Cop, Harley Quinn, Green Lantern, ’Where are my pants?’ Guy, Larry the Barista, Chainsaw Dave, Mo-Hawk, Roxxi and Fuse, plus a rat figure. • This huge Apocalypseburg construction toy has removable modules for easy play and features a section of the Statue of Liberty, café, Scribble Cop’s office, armory, barber’s/tattoo parlor, Lucy’s hideout, Fuse’s workshop, rooftop diner, gym, spa and more! 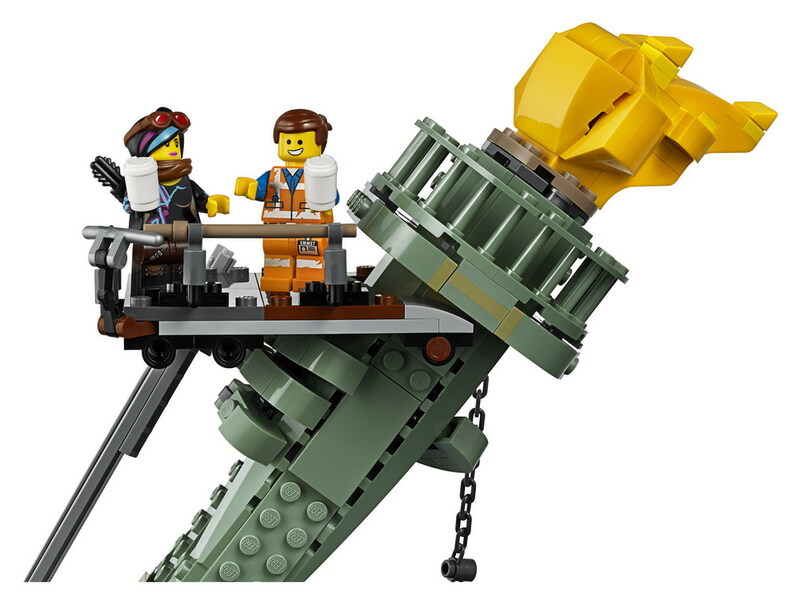 • The Statue of Liberty section of this THE LEGO MOVIE 2 playset features a buildable torch, opening Lady Liberty head with a chill-out room including a buildable telescope, and 3 lookout platforms. • Scribble Cop’s office features an opening jail door and chair-kicking function. • Lucy’s hideout features a buildable bed with a secret compartment containing various fun elements including a love letter from Batman. The room also features weapon storage and assorted elements including new-for-January-2019 barbed wire. • The removable roof of Lucy’s hideout has a buildable seat, engine truck front and water tower. • Rooftop diner features a buildable V8 engine deep-fat fryer, table, oven, ketchup and mustard dispensers, plus frying pan and food elements. • This THE LEGO MOVIE 2 toy building set also includes Chainsaw Dave’s surfboard rack with 2 surfboards, lookout area with a buildable telescope, an opening sewer and various ladders. • Weapons for THE LEGO MOVIE 2 characters include Lucy’s crossbow. • Recreate fun-packed scenes from THE LEGO MOVIE 2 with this awesome Statue of Liberty toy.